We skip around alot on this blog, I hope that is okay with you! I just seem to have so many things to show you, and the time just flies by! 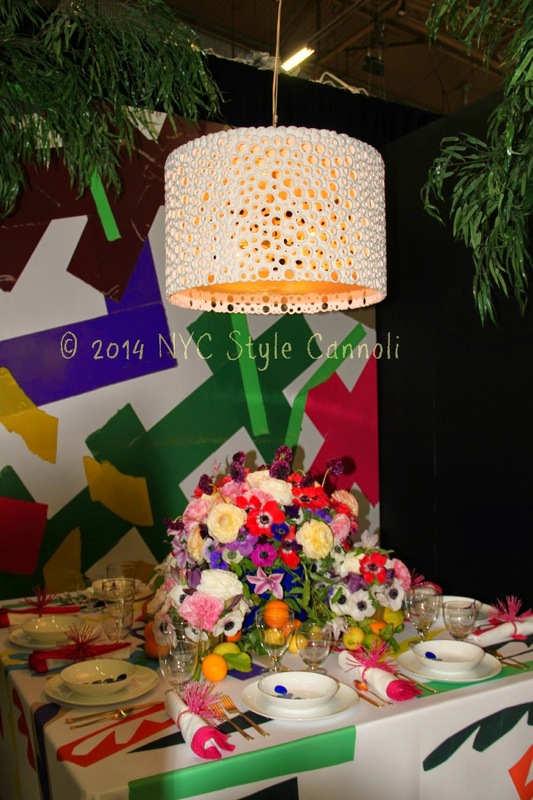 The 2014 Architectural Digest Home Design Show was a real winner this year. It always blows your mind at the creative folks that are out there, they have such neat ideas. Many items at this show are quite on the expensive, but you can still re-create the looks on your own at a more budget friendly cost. It is so nice to see displays that give you ideas of what you can do in your own home. As you start your walk around DIFFA, you are greeted with Ralph Lauren Home’s fresh & carefree dining area which was just gorgeous! 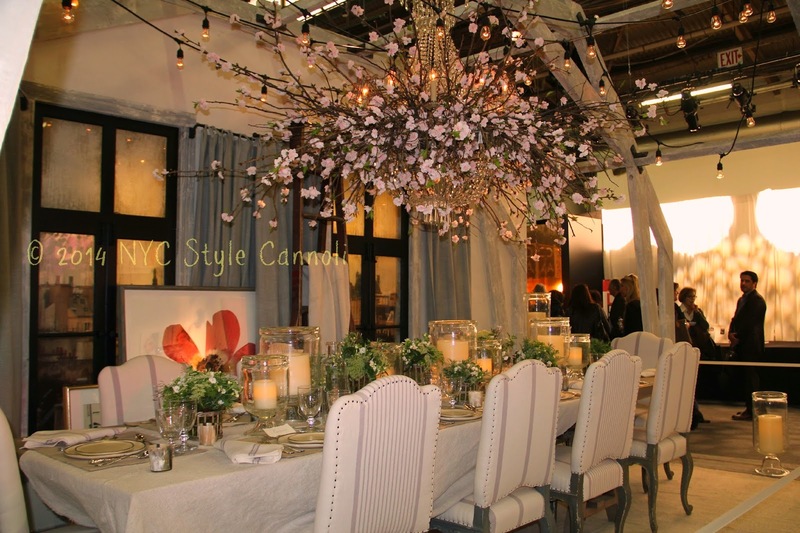 You see here laid back linen, distressed wood and a gorgeous chandelier of twinkling blossoms & branches. Is this not just a lovely table setting? Very relaxing and easy going. 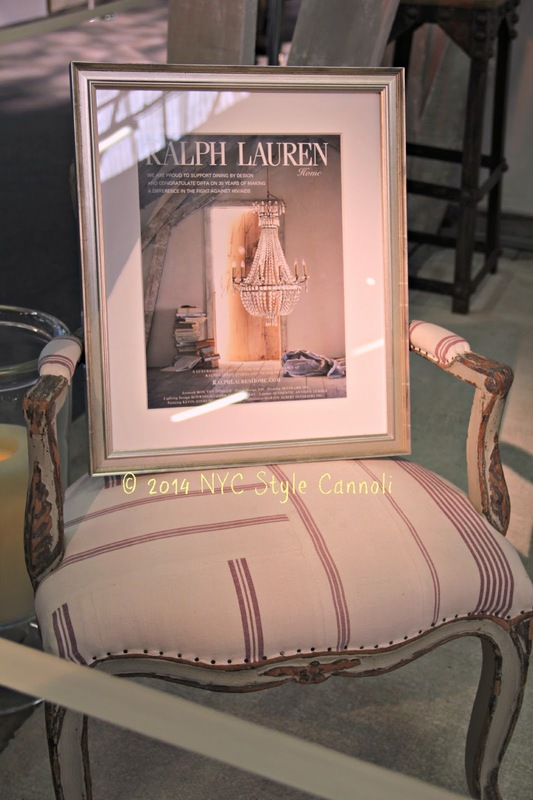 I have been a Ralph Lauren fan for a long time. 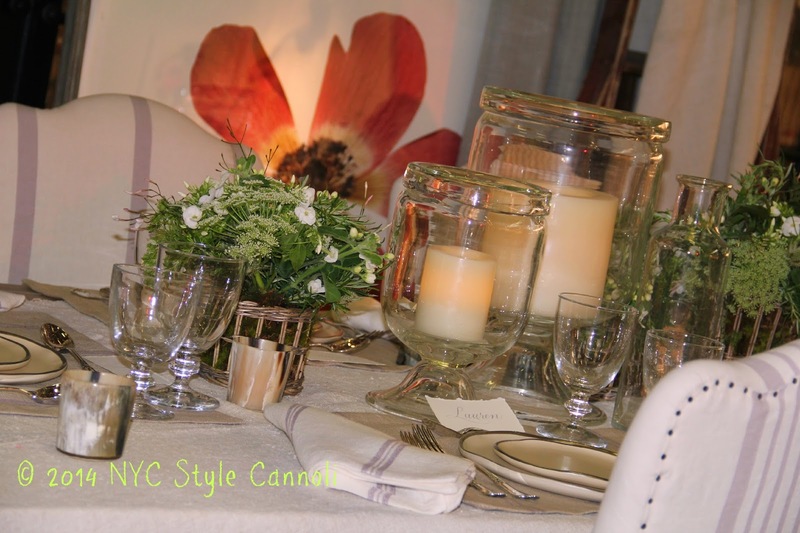 This table setting with the flower arrangement was one of my most favorites. 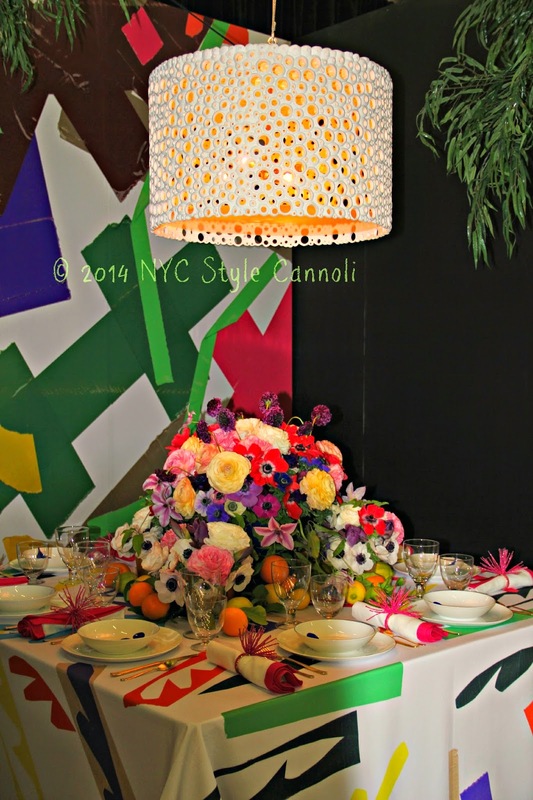 Architectural Digest’s table played on the abstract theme, using two large scale custom patterns reminiscent of expressionist artists. I really loved the color in this display. I kept going back to it, it was just so amazing in person! 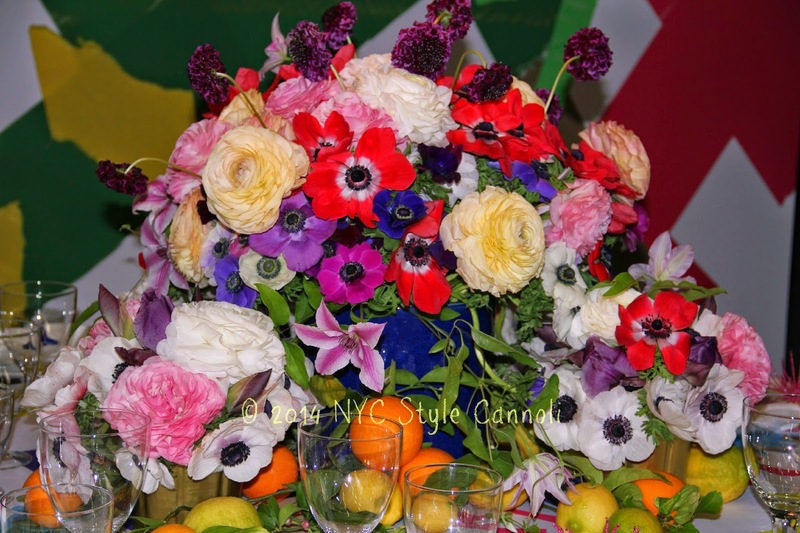 I thought this was almost better than at the Philadelphia Flower show! They really outdid themselves on this display! 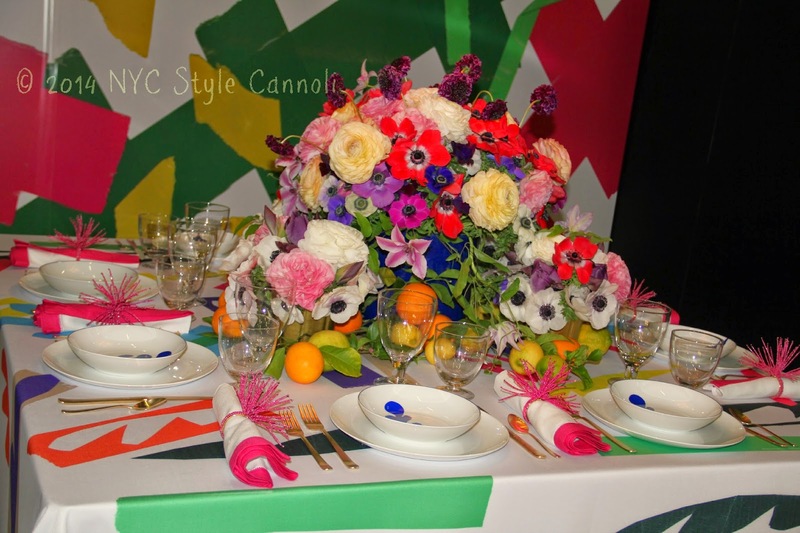 The benches around the table were solid white, which went very well with the colorful table theme. I really love the lampshade as well. What a great all around look! The year 2014 is the DIFFA's 30th Anniversary of a major effort of targeting HIV/AIDS through direct care and preventative education. Their work has been extraordinary and hopefully there will be an end to this disease in the near future. You can read about their mission HERE.